I guess I'm supposed to introduce myself. I'm a 25y/o guy. I'm married to my high school sweetheart. We live on just over 1 acre in Mt. Airy MD which is a suburb of DC, Baltimore and Fredrick. I'm a professional horticulturist and I manage a research greenhouse. Outside of my "real work" I also teach classes on various horticultural topics. I enjoy vegetable and flower gardening at my home. I've also done some work with home hydroponics. Uhhhh... I don't know what else to say but if you have questions feel free to ask. 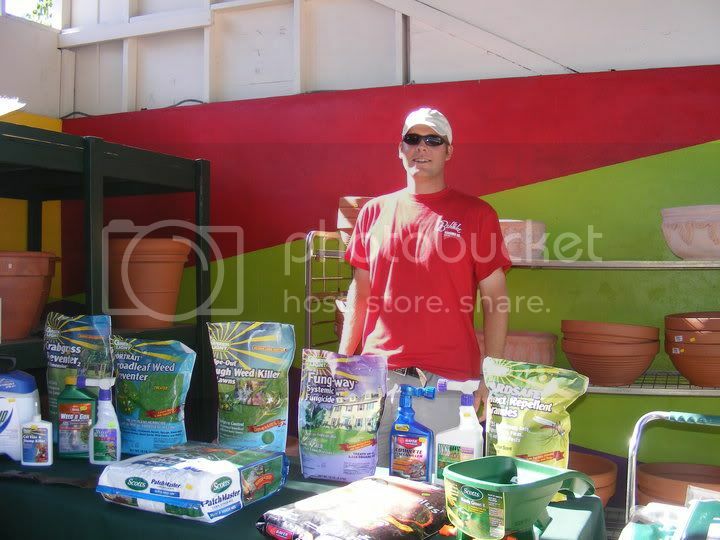 ^ Me teaching a lawn care class last fall. So Jealous. I was stationed at Fort Detrick for 5 years and miss MD so bad. I'm pretty sure I like it more than Texas. Anyway, this is my first post on hte forum, so welcome to both of us. Hitched_Gibson wrote: So Jealous. I was stationed at Fort Detrick for 5 years and miss MD so bad. I'm pretty sure I like it more than Texas. Anyway, this is my first post on hte forum, so welcome to both of us. Welcome. I'm originally from TN and while I love MD for it's culture, the cost of living here is taking years off my life. Even in Mt Airy? I guess I didn't pay much attention as I was living on base.